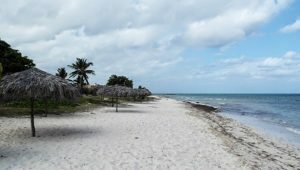 Set in the Cuba province of Holguin, Guardalavaca is the quieter and more isolated version of the more famous Varadero. But this resort town impresses tourists with its lush foliage and hills bordering the white sandy beaches that glisten under the sun. Guardalavaca is not only the refuge for beach lovers, its teeming coral reefs and marine life excites all diving and snorkeling enthusiasts from around the world. With its waterfront bars, seafood restaurants, and outdoor markets; this town is perfect for couples and families. Spend the sunny days onboard a catamaran and at night, enjoy a fresh seafood dish and match it up with your favorite cocktails. Once you are in Guardalavaca, it is easy to get around and out to other neighboring localities. Taxis are easy to find and can be booked easily for day trips through the hotels. You can also rent bicycles or mopeds, just don’t forget to bring your driving license. Buses operating in this town and region have open tops and follows a hop on/hop off system. 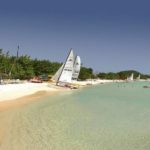 Almost all tourists who come here stay in all-inclusive resorts, which is a very popular accommodation option Caribbean visits. If you venture further west of Guardalavaca town proper, you will find Playa Esmeralda, which is one of the popular picturesque beaches in this Cuba region. The other resort enclave close to the center of town is Playa Pesquero. Roughly translated as the Fisherman’s Beach, Pesquero is home to the most high-end and luxurious resorts in this part of Cuba. Guardalavaca town itself has its own public beach, which is named after the town. This beach is open for both tourists and locals, unlike other sandy stretches in the country. Playa Guardalavaca exudes the Caribbean look and feel with its soft sand and palm trees sprinkled around the beach. Perfect place to lazily dream the day away! Despite being less developed than Varadero, Guardalavaca Beach still has some beach bars where you can get light snacks and the quintessential Cuban cocktails like Cube Libres and Mojitos. Walk to the western tip of the beach, and you will find a rocky promontory, where a seafood restaurant is comfortably nestled. At the far eastern side of the beach sit some local houses, mostly owned by fishermen. For some seasoned travelers to Guardalavaca, this section is the most beautiful and serene. Just behind the beach area is a large market that sells various products perfect for souvenirs and gifts. 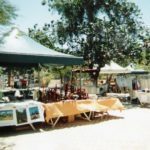 Paintings, t-shirts, crafts, postcards, jewelry and musical instruments are just some of the items you can pick from this market. There are also stalls that sell the renowned Cuban cigars. If you plan to purchase, take note that prices on items sold at the stalls are usually not fixed and your haggling skills are put to the test. But there also some few established shops that do have fixed prices and bargaining will not help you lower the price. Guardalavaca is the kind of place when you can relax and just enjoy the simple beach life. But if you want to do something more than lazing around the resort, you can easily add guided tours to some of the days you are here. Consider a guided tour around the local areas of Guardalavaca that will highlight various community facilities and establishments. This experience will give you the opportunity to glimpse at the everyday life of the locals. From Guardalavaca, you can also arrange day trips to other nearby attractions like Holguin City, Bahia de Naranjo, Cayo Naranjo, the culturally-rich Chorro de Maita, and the quaint fishing village of Gibara.